Robert Leroy Parker's transformation into Butch Cassidy wasn't immediate. He worked on ranches as a cowboy, was a butcher for a time, and finally chose a path of crime in the American West in the late 1800s. Cassidy's involvement with the band of outlaws known as the Wild Bunch and later partnership with Harry Longabaugh, the "Sundance Kid," resulted in a crime spree and a life on the run. 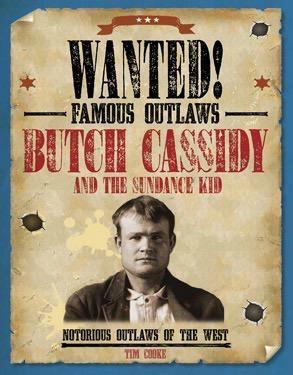 Butch Cassidy and the Sundance Kid fled to South America, where their fate remains a mystery. This lively, well-researched volume--filled with fascinating photographs and fact boxes--provides a gripping account of a fugitive's life and legend.